For its twenty-third issue, InVisible Culture: An Electronic Journal for Visual Culture invites scholarly articles and creative works that consider the multiple valences of the topic: blueprints. In his theoretical manifesto, Toward An Architecture, Le Corbusier wrote, “The plan is the generator. Without plan there can be neither grandeur of aim and expression, nor rhythm, nor mass, nor coherence. . . . The plan is what determines everything; it is the decisive moment.” The plan or blueprint is the primary tool of the architect’s and the drafter’s trades—a technical document that bridges creative impulse and constructive labor, intent and execution, virtuality and materiality. Taking shape as a conversation among concept, form, and representation, a blueprint insistently nudges its spectator’s gaze outside its frame. It is understood as a necessary stage on the way to something larger, something grander, something more, and is usually seen not as a self-contained object, but as prescription directed toward a particular outcome. Yet a blueprint may also be the terminus of the unrealized and the unrealizable. Étienne-Louis Boullée’s Cénotaphe à Newton, Le Corbusier’s Ville Contemporaine, Frank Lloyd Wright’s Broadacres, and the Chicago Spire are among the many visionary designs abandoned at the drawing board, whose construction in real space we may now only imagine. In Issue 23, we would like contributors to consider how blueprints—and more broadly, agendas, manifestos, models, or prophesies—negotiate between the present and an imagined, idealized, or impossible future. What qualities and limitations are shared by conceptual architecture and other speculative mediums? How do plans and prototypes function as a critique of present realities? What is the aesthetic value of diagrams, renderings, sketches, or preparatory studies? What occurs when we no longer consider the model as process, but as finished product? What are the mechanisms through which the plan attempts to fill the gap between language and image or event? Please send completed papers (with references following the guidelines from the Chicago Manual of Style) of between 4,000 and 10,000 words to ivc[dot]rochester[at]gmail[dot]com by October 15, 2014. Inquiries should be sent to the same address. In addition to written materials, InVisible Culture is accepting work in other media (video, photography, drawing, code) that reflect upon the theme as it is outlined above. For questions or more details concerning acceptable formats, go tohttp://ivc.lib.rochester.edu/contribute or contact ivc[dot]rochester[at]gmail[dot]com. 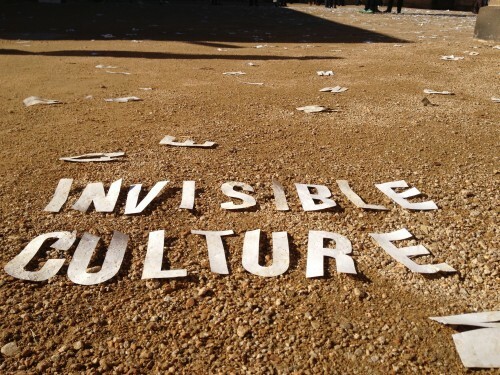 InVisible Culture is also currently seeking submissions for book, exhibition, and film reviews (600-1,000 words). To submit a review proposal, go tohttp://ivc.lib.rochester.edu/contribute or contact ivc[dot]rochester[at]gmail[dot]com.